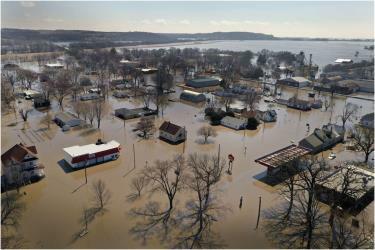 Unprecedented flooding in the upper Midwest has caused $12.5 billion in direct losses, comparable to the aftermath of hurricanes Irene in 2011 and Matthew in 2016. 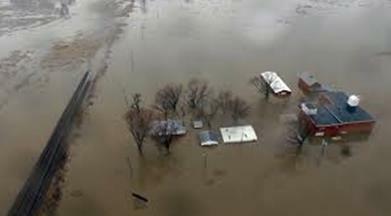 Flooding affected more one million acres of crop land, breached levees, washed away roads and rivers, saturated stored grain and soybeans, contaminated drinking water wells and damaged homes, vehicles and equipment. Losses in Nebraska, Wisconsin and Iowa exceeded $2 billion for each state. 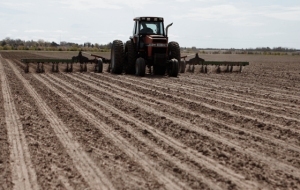 Saturated fields coupled with the prospect of more rain and snow melt will delay planting of the 2019 crop which will possibly result in additional losses. The National Oceanic and Atmospheric Administration issued a spring outlook on March 21 indicating major or moderate flooding in 25 states in the upper and middle Mississippi River basins, the eastern Missouri River, the lower Ohio, Columbine and Tennessee River basins. A direct effect of the trade war with China and the consequential reduction in exports of soybeans has boosted crush margins. Taking advantage of both availability and price, 154.5 million bushels of soybeans were crushed in February according to the National Oilseed Processors Association, constituting a record. On April 3rd, the European Parliament voted 560 to 35 to ban a range of single-use plastic items including polystyrene plates, food and beverage containers. The regulations will take effect in 2021. 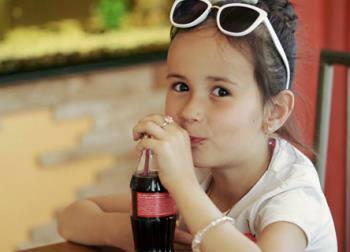 At least 90 percent of beverage bottles will have to be collected and recycled by 2029. It is estimated that the E.U. 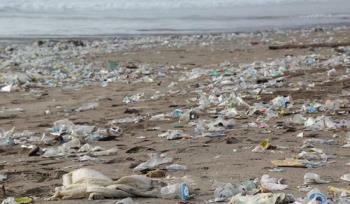 recycles only a quarter of 25 million tons of plastic waste produced each year. The E.U. recognizes the need for effective waste management infrastructure and recycling facilities to achieve optimal reduction of plastic waste in landfills and oceans. Reliance on Asia is no longer a viable alternative to on-Continent conversion and disposal. 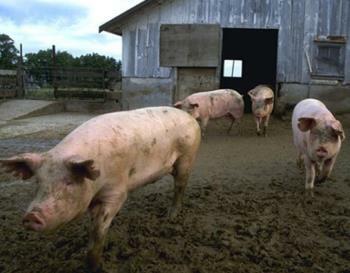 The Ohio Animal Disease Diagnostic Laboratory (OADDL) recently reported on routine isolation of H1N1, H3N2 and H1N2 serotypes of influenza virus from hogs. 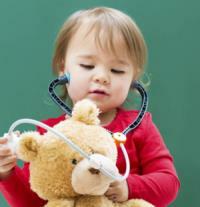 In some cases, multiple serotypes were detected from a single farm submission. The OADDL uses rapid polymerase chain reaction assay to screen for influenza A virus followed by subtyping to identify hemagglutinin and neuraminidase genes. H1 influenza A occurs frequently in states with large concentrations of commercial hogs, suggesting the need for epidemiologic separation of commercial or subsistence units from poultry flocks including turkeys, layers and broilers. In some states with high population of hogs, vaccination of turkeys with an inactivated H1virus is carried out as a routine, based on the high probability of exposure. It is inappropriate to operate hogs and commercial chickens on the same farm. Special biosecurity precautions should be implemented by feed mills that deliver to a multi-species clientele. 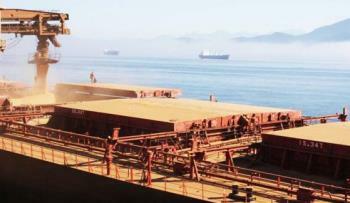 The collision of a barge with a one-half mile span over the Moju River in the Para state of Brazil will impact grain shipments from major export terminal located in the harbor of Belem. The 650 foot section of the bridge collapsed on Saturday, April 7th cutting a major road from grain-producing regions to the port which also serves as the state capital. 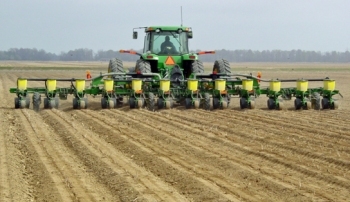 The USDA announced on April 1st that China had placed a second order amounting to 828,000 tons for soybeans. The order will be shipped within the current marketing year which ends on August 31st. 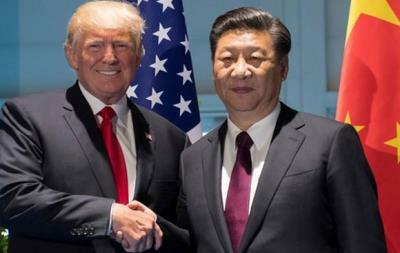 Trade talks between the U.S. and China continue with apparent progress on both trade and structural issues. In response to the U.S. decision to defer the March 1st imposition of additional tariffs on manufactured goods China, will continue to suspend tariffs on U.S. autos and parts after April 1st. 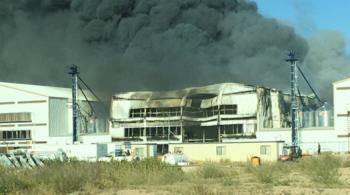 Glenn Hickman, president of Hickman's Family Farms advised media and the industry that a barn under construction at the Tonopah Complex was destroyed by fire on April 4th. 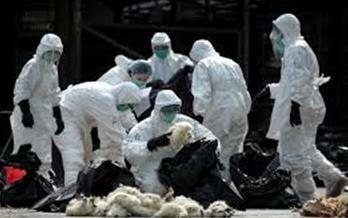 No injuries were reported and no flocks were affected. Firefighters from Buckeye Valley, Tonopah and Harquala Valley Fire Districts responded to the blaze. According to Clint Hickman Vice-president of Marketing the event will not affect deliveries. In a company press release dated April 3rd, Aldi announced a commitment to reduce plastic waste By 2025 all Aldi packaging including plastic will be reusable, recyclable or compostable. Packing material used for all Aldi-exclusive products will be redesigned to reduce bulk by 15 percent. 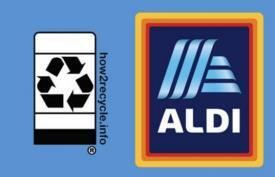 How2Recycle labels will be applied to all Aldi-exclusive packaging this year. 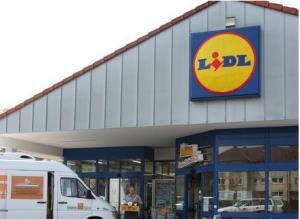 The Company is considering an initiative to recycle packaging of private-label products by 2020. 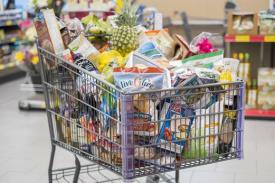 An Aldi spokesperson noted "Aldi has never offered single-use plastic shopping bags and while we're pleased that we've helped keep billions of grocery bags out of landfills and oceans, we want to do more." In 2018, Aldi recycled more than 250,000 tons of materials including paper, cardboard, plastic and metal. This represented the greenhouse gas equivalent of eight million gallons of gasoline. Tim Smith will serve as Senior Vice President and General Manager for consumer products, a newly-created role. Smith will report to Matt Salzberg, CEO. 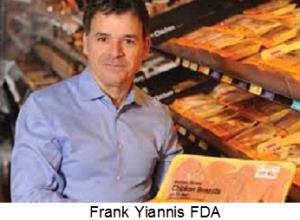 Smith is an alumnus of Tyson Foods where he served as General Manager for the emerging brands group. Pablo Cussati, Senior Vice President of Operations will also report to Salzberg. 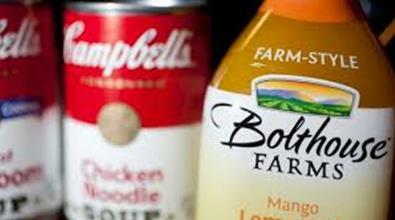 Cussati has experience at Pinnacle Foods, the Campbell Soup Company and PepsiCo. In announcing the change, Salzberg noted the contribution of Matt Wadiak as a driving force for the Blue Apron mission to make home cooking accessible to everyone. 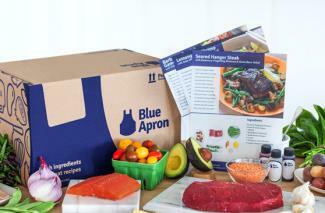 The 52-week range in share price of Blue Apron is $0.65 to $4.15. At midday following the announcement, the share price was $1.03 supporting a market capitalization of $200 million. 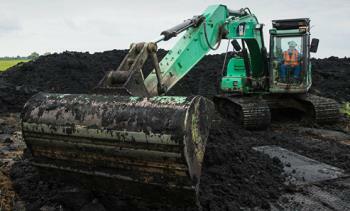 The company posted a 12-month trailing return on assets of -16.1 and on equity, -71.2 percent. The 12-month trailing profit margin is -18.3 percent with an operating margin of -16.8 percent. 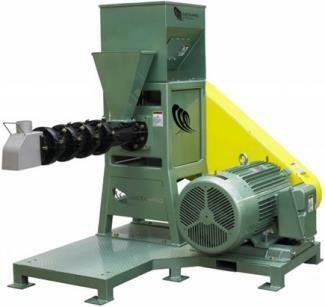 According to an April press release, O&T Farms uses a dry-extrusion process to produce Linpro, a co-extruded ingredient comprising flaxseed and peas. The process does not require an external heat source since the ingredients are forced through a small aperture which creates heat during extrusion. The processing temperature improves amino acid availability and destroys anti-nutritional compounds. In a release on April 3rd, the U.S. Poultry & Egg Association (USPOULTRY and United Egg Producers released an updated economic impact study that highlights the positive impact of the poultry industry on jobs, wages, and federal and state revenue in the United States. For 2018 the entire U.S. poultry industry provided 1,984,784 jobs, $108.9 billion in wages, $495.1 billion in economic activity and $38.5 billion in government revenue. Since the last study conducted in 2016, the poultry industry has created 302,515 additional jobs, and the economic impact has increased by 11 percent. 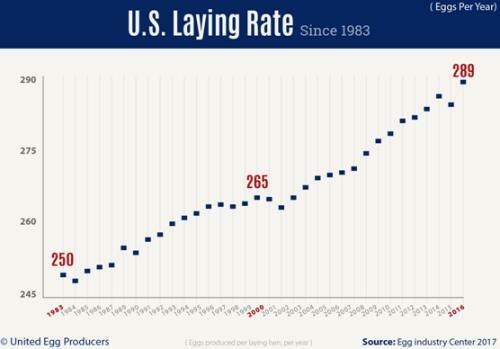 The egg industry provides 112,470 jobs (5.7 percent of entire poultry sector), $6.3 billion in wages (5.7 percent), $29.2 billion in economic activity (5.9 percent) and $2.3 billion in government revenue (6.0 percent). 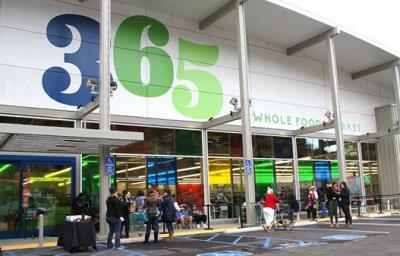 Whole Foods Market has opened a convenience-like store in Chelsea, NY in a high-density area. 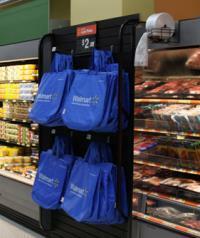 The store features self-checkout kiosks, considered faster than full-service grocery stores. The DailyShop concept will include common grocery items and produce, but in addition toiletries and travel-related products will be offered. Amazon will close all Whole Foods Market 365 stores and then convert them to regular Whole Food Stores by the beginning of 2020. It appears that Amazon in searching for ideal suburban and urban formats and even intends opening a chain under the Amazon banner separate from their $14 billion Whole Foods acquisition in 2017. 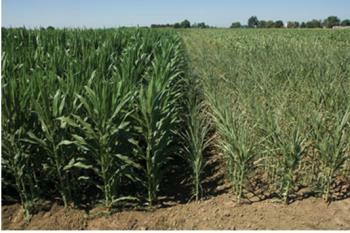 Reduced demand for corn due to projected lower livestock requirements. The lower demand for ethanol will reduce diversion from feed and food. In past years, the excess production of ethanol over domestic demand was exported, but this market has ‘evaporated’ to a considerable extent. Soybean sales, heavily influenced by purchase by China, have not resumed to 2017 levels. Although optimistic reports of progress in trade talks and orders, the outlook for exports still remains hazy. World economic growth is slowing from 3.8 percent in 2018 expected to fall between 3 and 3.5 percent in 2019. 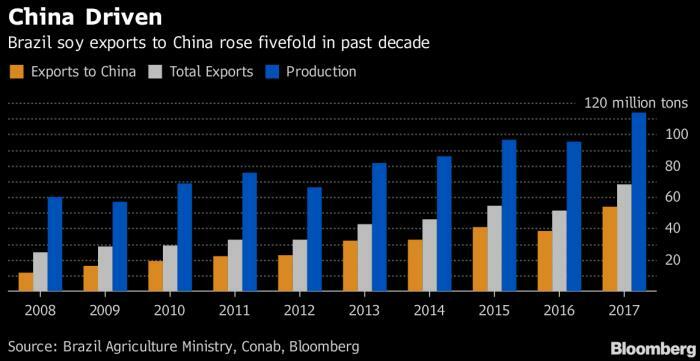 Contraction of the economy in China is a contributor to growth although reduced trade with Asian nations and uncertainties over Brexit in the E.U. are also contributors. U.S. economic growth in 2019 will reflect the decline recorded in the 4th quarter of 2018, which posted a 2.2 percent annualized rate compared to nearly double the level for the first six months in 2019. Growth in Q1 of 2019 was affected by government shutdown and trade disputes. 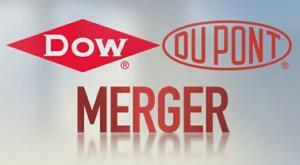 New Jersey has initiated lawsuits against DuPont, Chemours Company and 3M Company. The claims arise from allegations of environmental contamination with toxic chemicals including polyfluoroalkyl compounds (PFAs). These chemicals were used to coat cookware and as an ingredient in stain repellants but many have been withdrawn as a result of bans imposed by the EPA. All PFA compounds persist in the environment and have been associated with adverse health outcomes including low birthweight, endocrine disruption and elevated cholesterol levels. Dow DuPont and Chemours are defendants in four complaints, and 3M was named in two lawsuits. 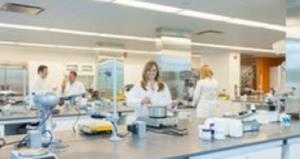 Chemours is a spinoff from DuPont following the Dow-DuPont merger. New Jersey Attorney General Gurbir Grewal stated "The companies we are suing today knew full well the risks involved with these harmful chemicals, but chose to foul our soil, waterways and other precious natural resources." In 2005, DuPont and the New Jersey Department of Environmental Protection entered into an agreement to resolve ground water contamination uncovered at eight DuPont sites. The State maintains that the settlement does not preclude current lawsuits since discharges continued subsequent to 2005. In a statement, 3M maintained "3M acted responsibly in connection with PFAs and will vigorously defend its record of environmental stewardship." The implication in these lawsuits is that state departments of environmental quality and their attorneys general are becoming more aggressive in demands that chemical companies and other polluters remediate soil and ground water albeit at considerable expense. 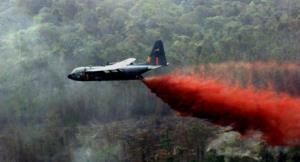 An example is the estimated $12 billion cost to remove PCB released during the production of Agent Orange, used during the Vietnam War. 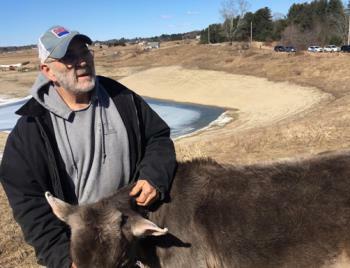 If successful in lawsuits against chemical companies states may turn to intensive livestock companies if there is scientific evidence of pollution of soil and groundwater from animal waste. 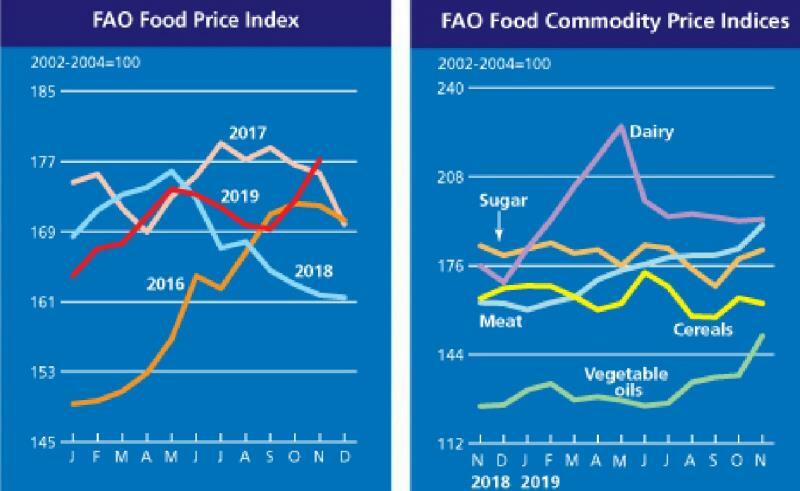 The most recent USDA-FAS GAIN report on Mexico (MX 9013) documents egg production and consumption in 2018 and projected values for 2019. Domestic production will rise by 2.3 percent from 2018 to 4.14 billion dozen in 2019. 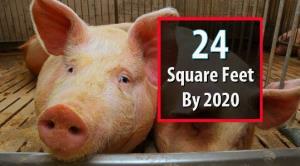 Based on a population of 132 million, consumption will be 23.5 kg (51.7 pounds) corresponding to 400 eggs per capita. 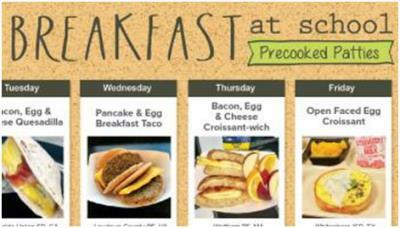 It is estimated that eggs provide 17 percent of the protein consumed in the Nation. The GAIN report documented an average annual increase in production of 3.3 percent from 2015 through projected 2019. In 2018 the U.S. supplied 92.1 percent of combined shell and egg product imports to Mexico comprising 46,800 metric tons based on national data. Brazil supplied 6.8 percent of combined shell and egg product imports to Mexico in 2018, up from 3.3 percent in 2017. According to USDA data, Mexico was third-ranked as an export destination for both shell eggs and egg products in 2018. The USDA documented export of 5.9 million dozen shell eggs (15.1 million dozen in 2017) valued at $5.3 million ($13.3 million in 2017). Exports of shell eggs to Mexico in 2018 represented 4.8 percent of volume and 4.0 percent of value at a unit price of $0.89 per dozen. 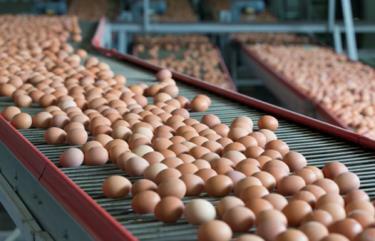 Mexico imported 4,676 metric tons of egg products from the U.S. in 2018 down 25 percent from 2017. Total value was $12.9 million, down 6 percent from 2017. Unit value increased 25 percent from $2,205 in 2017 to $2,759 in 2018. In the most recent year exports of egg products to Mexico represented 14.6 percent of volume and 11.8 percent of total value. In a March 21st release, the Midwest Poultry Federation announced directors appointed by state poultry organizations to serve on the Board of the Federation. Lisa Beohm of the Henning Companies will represent the Iowa Poultry Association and John Burkel will represent the Minnesota Turkey Growers Association. The Executive Members of the Board include Greg Nelson representing the Kansas Poultry Association serving as president; Ben Thompson of Pearl Valley Eggs representing the Illinois Poultry Industries and Scott Waldner of Purina Animal Nutrition representing the Chicken and Egg Association of Minnesota. The Board meeting took place following the Midwest Poultry Federation Convention. 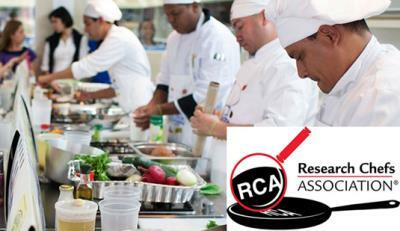 The event held for a second year in Minneapolis hosted 609 exhibitors and recorded a registration exceeding 3,100. Moba was award a certificate for ten consecutive years of exhibition at the Midwest Poultry Federation. 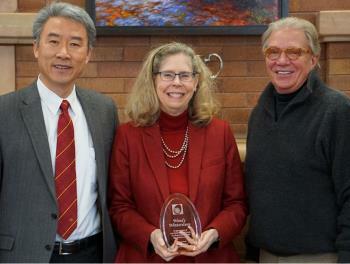 A five-year award was received by O&T Farms. Both companies are Sponsors of EGG-NEWS. 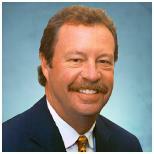 Bob Langert spent 25 years following an innovative and productive career at McDonald's Corp., retiring in 2015. When he joined the company it suffered from sensory deprivation. Management was blinded by its market share, international reach and market capitalization. Executives concerned with "millions served" were also tone-deaf to emerging consumer concerns including sustainability and welfare. In 1988 Langert was introduced to the emerging concern over polystyrene clamshell packaging used by McDonald's for sandwiches. He was given the unenviable task of reversing sclerotic reasoning among decision makers in the company who were guided by practicality and profit. Fortunately he had sympathetic mentors and well oriented superiors. They accepted his ideas and recognized his deep-seated desire to do the right thing for consumers, suppliers the environment and his company. After the polystyrene clamshell sandwich-packing situation was resolved, Langert was assigned other responsibilities bearing on the supply chain that directly influenced public perception of the company. McDonald's suffered a pyrrhic victory in 1990 when it injudiciously prosecuted a case for libel vigorously defended by London Greenpeace. The trial afforded the defense an opportunity to publicize perceived inadequacies in welfare, nutritional content of menus and alleged exploitation of labor. 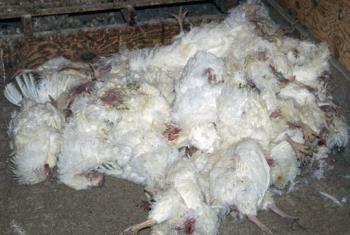 The outstanding revelations that garnered considerable publicity related to flock and herd welfare. The trial at the Old Bailey in London was a classic case of "don't mud wrestle a pig-you both get dirty and the pig enjoys it!" Subsequent to the trial Langert was tasked with developing a company policy and program on livestock welfare in the supply chain. He consulted with available specialists and organized an advisory panel representing the first application of a now accepted system of standards and audit. Early in his involvement in promoting welfare Langert recognized the need to develop a dialog with antagonists. He established a functional working relationship with animal rights organizations both with respect to caged hens and gestation crates for sows. 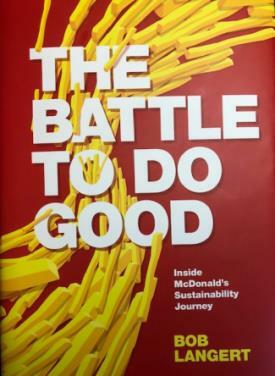 His cooperation with the Environmental Defense Fund injected into the culture of McDonald's the reality that promoting a good environment is ultimately beneficial for business. CALM achieved lower comparable sales and gross margins for the most recent quarter compared to Q3 2018 due to extraordinary high prices for generic eggs prevailing in that quarter. This was influenced by the early occurrence of Easter in 2018 and the greater availability of eggs relative to demand during 2019 occasioned by higher flock size. In reviewing the CALM 3rd Quarter results the following derived and stated values* represent key data (Q3 2018 data in parentheses). Dozen shell eggs sold: 271,805,000: (273,209,000: -0.5%)? Average selling price of all shell eggs: $1.38 per dozen; ($1.56 per dozen: -11.5%).? Average selling price of specialty eggs calculated from data released: $1.96 cents per dozen: ($1.94 per dozen; +1.0%).? Average selling price of generic eggs calculated from data released: $1.20 cents per dozen; ($1.44 cents per dozen; -16.7%).? Differential between generic and specialty eggs: $0.76 cents per dozen; ($0.50 per dozen; +52.0%)? Specialty eggs as a proportion of volume sold: 24.7%; (24.3%; +1.7%)? Specialty eggs as a proportion of sales value: 35.0%; (30.2%; +15.8%)? 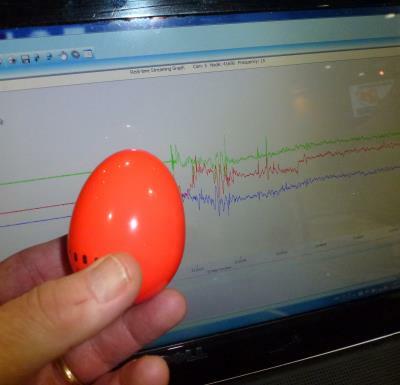 Proportion of eggs sold actually produced by Cal-Maine flocks: 81.8%; (80.9%; +1.1%).? 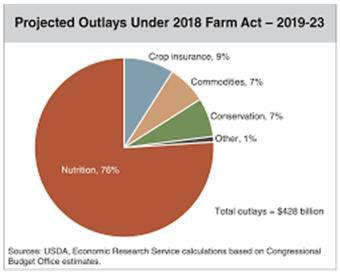 Feed cost: 42.0 cents per dozen (40.0 cents per dozen; +0.5%)? 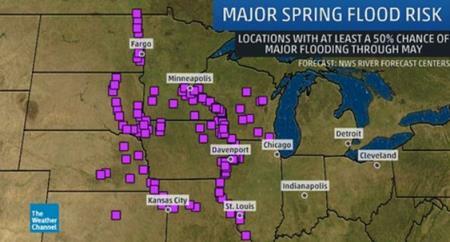 Recent floods along the Mississippi and upper Midwest catchment areas will delay planting. 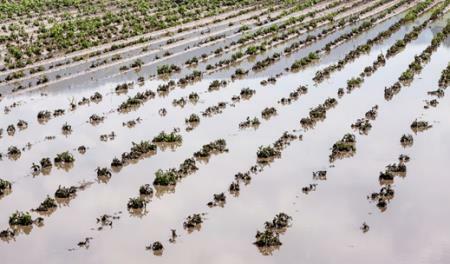 Consulting Company Planalytics estimates that half of the corn and soybean acreage due to be planted this spring is at risk of flooding. The greatest concerns are in Iowa, Minnesota and Nebraska with possible adverse effects in Missouri, North Dakota and Illinois. Navigability of the Mississippi River and its tributaries will also be impacted by high water levels. 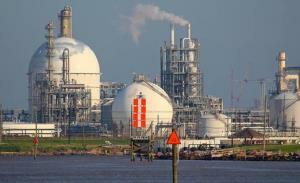 This may create difficulties in transport of ingredients from the Midwest to the poultry and swine industries located in the Southeast in addition for export through terminals south of Baton Rouge. Unrestricted navigability is also necessary to transport fertilizer upstream to the Midwest and Northern-tier states. 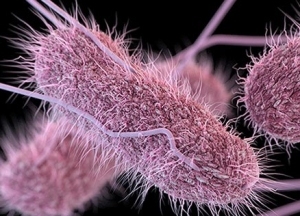 According to health authorities in Australia, Salmonella Enteritidis outbreaks attributed to eggs have been diagnosed in New South Wales, Victoria, Queensland and Tasmania over the past twelve months. Recurrent clusters of cases have been reported since May 2018 with a surge in incident reports in March 2019. An outbreak involving 28 diagnosed cases occurred in September 2018 associated with a producer with multi-state distribution. Despite the frequency although limited size of outbreaks, it is accepted that SE is not endemic to the industry and that surveillance must be an ongoing preoccupation. 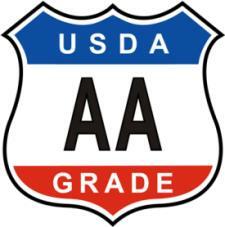 As affected farms are identified, product should be and is being recalled. 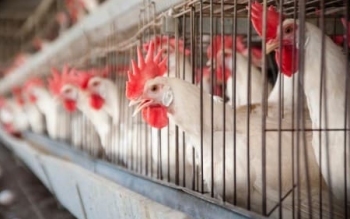 The past decade, Australia has witnessed a transition from traditional cage housing to both barn and free-range systems motivated by retail chains. Elimination of SE from flocks allowed outside access is well-nigh impossible and the unfortunate combination of flocks colonized with SE and housing which cannot be contaminated will predispose to persistence of infection resulting in recalls. Cooperative studies conducted by Jansen Pharmaceuticals and the Scripps Research Institute have demonstrated the beneficial effect of specific small molecules in inhibiting fusion of influenza virus to epithelial cells in the respiratory system of mice. The approach was based on a study of the mechanism of action of antibodies that prevent hemagglutinin of the virus effecting the conformational changes required for the virus to fuse with host cells. After screening approximately one-half million small molecules, a few candidates with the required pharmacokinetic profile were identified. 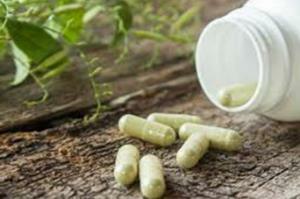 A specific compound termed JNC4796 was selected. When ingested, the compound protected mice subjected to 25 times the lethal dose of influenza virus. 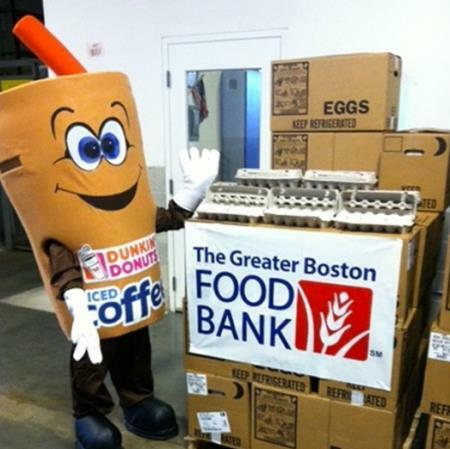 The AEB has announced that producers in the U.S. collectively donated 3.3 million dozen eggs to food banks and worthy charities during 2018. Documenting 1,000 donations to food banks and to support disaster relief in 2018. EGG-NEWS extends condolences to his family including widow. Ann Wyatt, daughter Stacy, son Marc and their children. Hawaii intends to ban Styrofoam food containers and single-use plastic bags including bin liners in an environmentally friendly initiative. 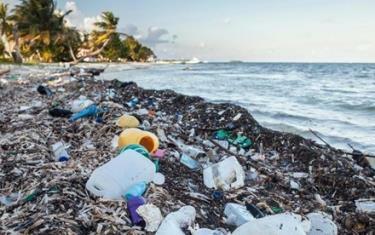 At issue is public concern over marine contamination with plastic as evidenced by the growing gyre of non-degradable waste circulating northeast of the Hawaiian Islands in the Central Pacific Ocean. The Hawaii Food Industry Association which represents supermarkets and convenience stores now supports a ban on film containers. The Hawaii Restaurant Association, representing 3,500 restaurants is opposed to the ban mainly based on the higher cost of substitute packaging. 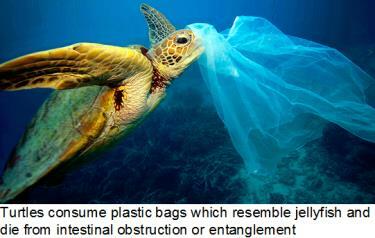 It is evident that if plastic bags and food containers are to be banned, alternatives must be available. Recycling of plastic will be necessary to prevent marine contamination and the convenience and economy offered by plastic in comparison to alternatives should be considered in framing legislation. The Hawaii proposal has passed the state Senate, but must be considered by the House before enactment. 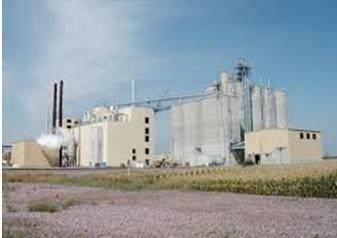 Cargill closing elevators at Council Bluffs, IA. and Albion, NE. Nebraska governor Pete Ricketts characterized the events of the past week as "The most widespread disaster we have had in our state's history." The Nebraska Farm Bureau estimates losses to crops at over $400 million with an additional $500 million loss to the livestock sector. 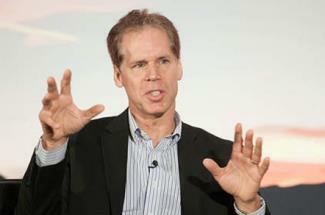 Jeremy King, Chief Technology Officer for Walmart is leaving the company after a six-year tenure. 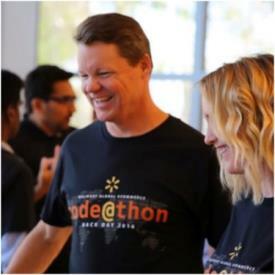 King was responsible for innovations in Walmart E-commerce and he led Walmart Labs, an incubator responsible for developing technology to compete with Amazon.com. Fiona Tan, Senior Vice President of Customer Technology will assume the responsibilities previously undertaken by Jeremy King until a replacement is recruited and appointed. King is apparently leaving Walmart to an undisclosed "new adventure" according to a release by Greg Foran, CEO of Walmart U.S.
On March 25th, AMS published a proposed rule in the Federal Register relating to a new and higher fee structure. In a concurrent announcement, AMS requested written comments before May 24th 2019 addressed to www.regulations.gov or sent directly to Julie Hartley, <Julie.Hartley@ams-usda.gov > Business Operations Branch, Quality Assessment Division, Livestock and Poultry Program, Agricultural Marketing Service, USDA. Comments should refer to docket number AMS-LPE-18-0095. The proposed amendments will standardize language and update terminology relating to billing services and will adjust holiday rates, excessive billing hours and administrative volume charges. Progress in China Negotiations ? According to observers the bilateral meetings taking place in China today promise some concessions on coercive technology transfer. The tone of discussions is apparently less confrontational. Can commitments by China be accepted? 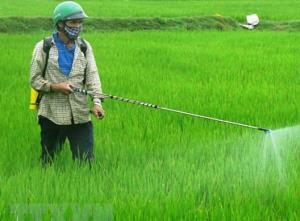 Jury Award in Glyphosate Trial . In the second phase of a trial to determine damages, a California jury awarded Edward Hardeman $80 million as a result of the finding in the first phase that glyphosate in Roundup™ manufactured by acquired Bayer subsidiary Monsanto was responsible for a diagnosis of non-Hodgkin lymphoma. Five more bellwether cases are to be tried in 2019. State of New Jersey Sets Precedent by Suing Chemical Companies for Soil Contamination . 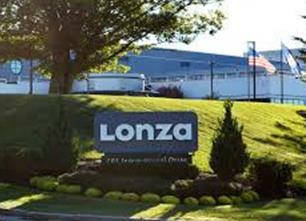 DuPont, 3M and Chemours have been named as defendants in a lawsuit brought by the State of New Jersey alleging responsibility for contamination with polyfluoroalkyl (PFA) compounds that persist in the environment resulting in negative health outcomes. In a March 28th release, privately held Cargill Inc. released financial results for the third quarter of Fiscal 2019 ending February 28 th. The Company posted operating earnings of $604 million, higher by 8 percent from the corresponding third quarter of FY 2018. Net earnings on a GAAP basis were up 14 percent to $566 million on revenue of $26.9 billion, down 4 percent from Q3 2017. The Animal Nutrition and Protein Segment apparently performed well with North American protein in the most recent quarter exceeding Q3 of 2017 with a special mention of "demand for egg products" Cargill is a major processor of egg liquid but as yet has not integrated back into egg production or breaking. David MacLenan, Chairman and CEO commented on trade tensions and supply chain disruptions including African swine fever in Asia as headwinds. Cargill improved their bottom line by cost reductions and reduced expenditure despite downturns in all four operating segments as compared to Q3 of 2017. The attached letter was submitted to USDA-AMS as a comment to be considered by the NOSB at their April meeting. Support for retention of the two vaccines is encouraged as it will benefit the organic segment of the egg industry representing 7 percent of a nominal U.S. flock of 225 million hens producing shell eggs. The March 14th issue of the USDA Livestock, Dairy, and Poultry Outlook confirmed egg production to amount to 7.8 billion dozen, two percent higher than in 2017. Growth was due to both expansion of the national flock and increased egg production per hen placed. The forecast for 2019 was revised upwards to 8.0 billion dozen, approximately 2.5 percent higher than in 2018. 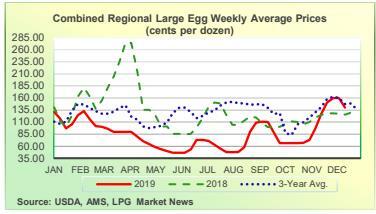 Understandably, increased production without a proportional rise in consumption will depress prices as denoted in both the weekly reports and the monthly summaries posted on EGG-NEWS. As we move to the end of the first quarter of 2019, late March prices are depressed in comparison to both the March 2018 value that was exceptionally high and the five-year average. The beneficial effect of exports of both shell eggs and egg products was reduced from 2017 compared to 2018 to 17.8 million dozen equivalents. This amounted to approximately half of the 2017 volume which was inflated by outbreaks of HPAI in the E.U. and Asia. 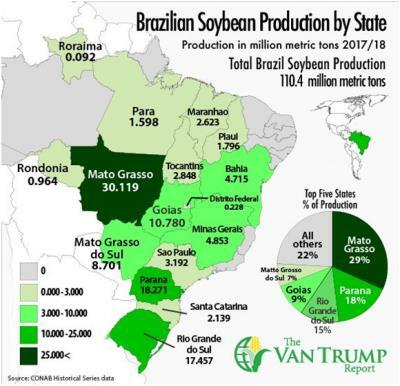 A report from the USDA-FAS attaché in Brazil predicts a harvest of 4,246 million bushels from 89.2 million acres sown for the crop cycle February 2019 through January 2020. This compares with a projected production of 4,544 million bushels from 89.2 million acres planted in the U.S. for the 2019 harvest. On the basis of area planted, yield of soybeans in Brazil will attain 47.6 bushels per acre compared to 50.9 bushels per acre in the U.S. The difference in yield is attributed to early rains that stimulated germination and growth followed by a subsequent dry period that impacted filling of pods. Brazil will export 60 percent of the 2019-2020 harvest compared to 37.5 percent for the U.S. The deficiencies in the transport infrastructure in Brazil extending from both the growing areas to ports and the major domestic production regions will become apparent during the coming season although it is unknown whether there will be a reoccurrence of the May 2017 truckers' strike. Concessions including minimum freight rates were imposed but there is still uncertainty regarding the reliability of road transport on which growers, traders and producers are dependent. 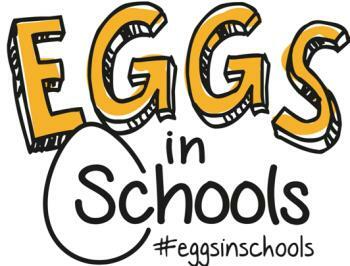 The AEB reports that the Dallas Independent School District with 156,000 students served 1.3 million additional servings of eggs in 2018. The increase is attributed in part to the promotional efforts of the AEB that has focused on school meals during the past two years. 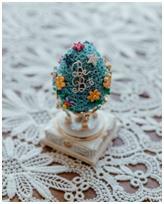 Exposing scholars to nutritious and attractive egg dishes will engender an appreciation for eggs that hopefully will encourage consumption in later years. The Dollar General Fresh Initiative currently serves 300 of the company's stores in the Northeast. The program will be extended to 5,000 stores by January 2020 and will encompass the entire chain with four years. 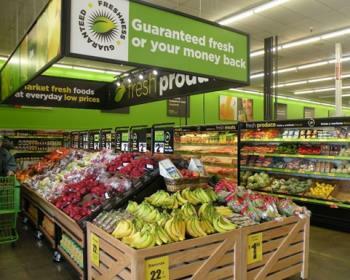 Dollar General has introduced fresh, frozen and refrigerated foods to increase sales. The volumes of these items have grown to the point where the company believes that a distribution network is justified. Dollar General currently operates a cold storage distribution center in Pottsville, PA.
Dollar General intends to open ten small-format stores during 2019 in urban areas. 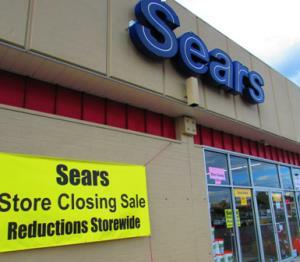 The company posted a four percent increase in same store sales during the fourth quarter ending February 1st attributed in part to resumption of parts of the SNAP program on which it is heavily dependent. 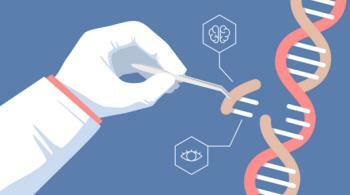 Following a review of an advisory panel, the Ministry of Health, Labor and Welfare of the Government of Japan has approved the use of gene editing for foods to be marketed and consumed in the Nation. Disabling or altering genetic expression by using techniques such as CRISPR will therefore be allowed in Japan. This decision is consistent with U.S. policy but contrary to a ruling by an E.U. court that made no distinction between gene editing and insertion of genes derived from a different species. The ruling has predictably elicited opposition from the Consumers Union and other groups that are demanding regulation of gene-edited crops and safety reviews of derived foods. The final report of the advisory panel submitted on March 18th rejected the need for special safety screening since current gene editing techniques did not involve introduction of foreign genes into the target crop or derived food. Details relating to the editing technique would be disclosed by the applicant but would be subject to restrictions regulating proprietary and intellectual property. In 2015, Target introduce the fast-casual concept from Freshii and D’Amico but the initiative withered in 2017. Target is now attempting a second act introducing snack bars as a trial in some locations. These will feature Pizza Hut servings, salads and grab-and-go snacks with customers paying at a self-service kiosk. The initial response to the test units in Minneapolis have been favorable. Currently there are 1,300 Starbucks stores operating in Target locations nationwide but the low-volume snack section is expected to benefit Target customers. Similar projects include the Amazon Go convenient stores and 7-Eleven Scan & Pay. Customers can purchase products using their phone or a self-checkout station. Gary Garthwaite writing in Forbes on March 20th criticized the JAMA article that was the subject of the March 22 nd editorial in EGG-NEWS. Forbes correctly alludes to the current trend for epidemiologists in search of a publication conducting meta-studies on available data. This process involves abstracting (or 'cherry-picking") data from previously conducted studies and then performing statistical analyses in an attempt to derive associations between specific foods and health outcomes. These studies are subject to selection bias and at best only indicate an association, not causality. Unfortunately, studies when published are abstracted by lay-commentators and amplified using social media. Since any distortions in the original paper are further manipulated according to the inclinations of the individual or organization posting the comment, the perception of a food and hence consumption can be adversely impacted. The article in question showed only a mild statistical association between consumption of eggs and cardiovascular disease. 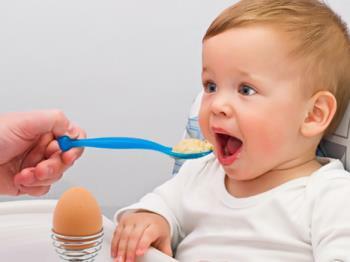 The conclusions were clearly contrary to the wealth of literature accumulated in recent decades showing that consumption of an egg per day is not deleterious to health while providing nutritional benefits. The outcome that meta-studies with sophisticated statistical analytical techniques may indicate an association is characterized by Garthwaite as "when pushed the authors can always claim: well I didn't say it was a causal relationship" He continued, "invariably these caveats are ignored by the media in favor of attention-grabbing headlines full of causal proclamations. Rinse and repeat." While China dominate trade issues, the E.U. has taken third place after ratification of the USMCA. This is a situation of concern given the size and potential purchasing power of the 28-nation E.U. 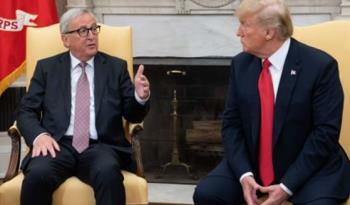 following on from the July 2018 meeting between the President and E.U. Commissioner Jean-Claude Juncker. In mid-2018, it was agreed that the U.S. would not place tariffs on E.U. vehicles while the two parties worked on improving trade relations. According to U.S. Trade Representative Robert Lighthizer, discussions with the E.U. are at a "complete stalemate". Although the E.U. 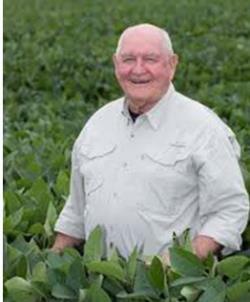 has im ported some soybeans, based on competitive pricing there has been no progress in establishing a trade deal with the European Commission. The diversity of interest among the 28 nations is regarded as the principle obstruction. Germany with a vested interest in export of vehicles is pressing for resumption of negotiations but France concerned over rural supporters is stalling. According to comments by Alton Sondand addressing an American Chamber of Business Conference in Brussels, there is unanimity in Congress on reversing the negative trade balance with the E.U. The European Commission has circulated a position paper to the 28 E.U. nations proposing reduced tariffs but accepting a common or unified policy is analagous to herding cats (fat or oterwise). 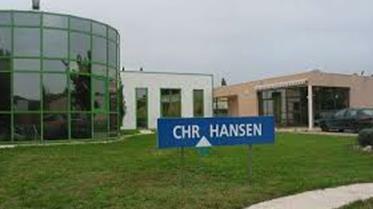 Central Valley Eggs to Commence Second Production Complex in California. 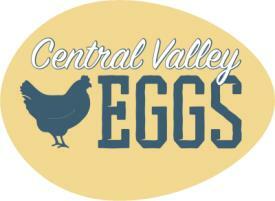 In a March 24th press release Central Valley Eggs announced the start of their second production complex in Tulare CA. The Wasco complex has been at full capacity since early 2018. Central Valley Eggs is a partnership among Opal Foods, Western Milling and Hickman’s Egg Ranch, formed to supply California with high-quality cage-free eggs. For additional information, and employment opportunities contact Jeff Peterson, <jpeterson@cveggs.com>. The AEB met with product development chefs affiliated with food manufacturers and leading QSR chains during the Research Chefs Association (RCA) annual meeting in Louisville in mid-March. This interaction entrenched strategic partnerships and secured invitations to participate in future innovation workshops. 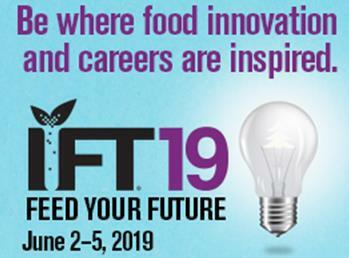 The AEB is a Gold Sponsor of RCA, which enables continued engagement throughout 2019 to educate and promote the functional benefits of eggs to generate innovation in the food industry. On March 15th the U.S. Food and Drug Administration issued a rule to finalize compliance dates for agricultural water requirements arising from the Food Safety and Modernization Act (FSMA) Produce Safety Rule. 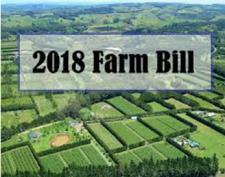 Large farms will be required to comply by January 2022 with small farms one year later. 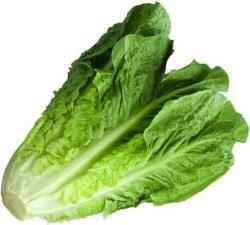 Contaminated water was identified as a cause of adulteration of Romaine lettuce in two separate outbreaks investigated by the CDC and FDA. 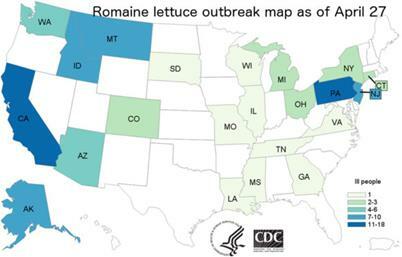 Over the long term, outbreaks of Listeria, Salmonella and E.coli will inevitably arise as a result of contamination along the chain of production and distribution of green vegetables eaten raw in salads. At the present time, the only certain method of eliminating bacterial contamination is the application of electron beam treatment that would add fractionally to cost but would represent a considerable improvement in safety. During the past week, the Pass the USMCA Coalition, representing trade associations, business and advocacy groups including the USPOULTRY, the National Chicken Council and the National Turkey Federation will be launching TV commercials and digital advertisements to generate support for the USMCA. The first TV ad to run in the Washington DC area promises a "new era of economic and creative prosperity within reach" according to a report in International Trade. What was originally regarded as a done deal, the USMCA has come under criticism from incoming Democratic freshman to the House together with some Republicans who are defying the presidential call for Congress to support USMCA. 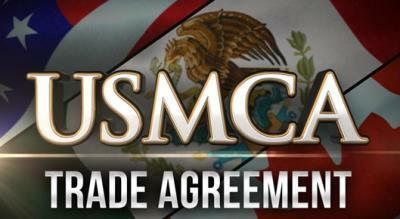 The USMCA must be approved by legislatures of all three signatories to come into effect. The Administration has threatened to withdraw from NAFTA possibly as a tactic to ensure acceptance of the agreement. The advertisement will claim that the U.S.-Mexico-Canada trade agreement will level the playing field for workers, consumers and farmers with more free markets, fairer trade and robust economic growth. According to an Egg Industry Center circular Dr. Dan Robison has been appointed as the Dean of Iowa State University College of Agriculture and Life Sciences effective January 2019. 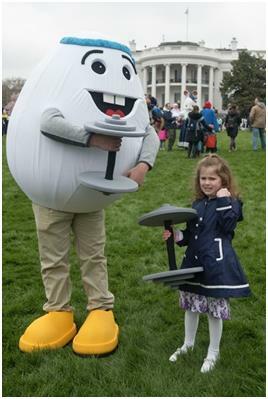 This new appointment is important for the Egg Industry Center (EIC) as in his position he holds a seat on the EIC Advisory Board. 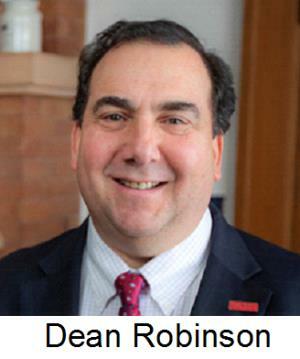 In commenting on his involvement with the EIC, Dr. Robinson stated "I am thrilled to be in this role and to become fully engaged with the EIC. A search committee will be established to recruit and select the next Egg Industry Center Director following the appointment of Dr.ongwei XinH Hongwei Xin as Dean for Agricultural Research at the University of Tennessee.